This week I thought I would try my hand at some colouring which I have never done before - well in my adult life anyway! But before I invested a ton of money into stamps and markers I jumped online and found some lineart images to colour and busted out some colour pencils that I have had forever in my craftroom, which is very untrue to form but much to my husbands pleasure! The only thing I ended up buying was some odorless blending solution and some paper stumps which cost next to nothing....Yay!!! Well with no further delay here is what I came up with. And here is a closer look at the image, isn't she just gorgeous! Full credit goes to Sureya from Deviantart who very kindly has opened up this image for free colouring so big big love! And what is a girl without her bling? 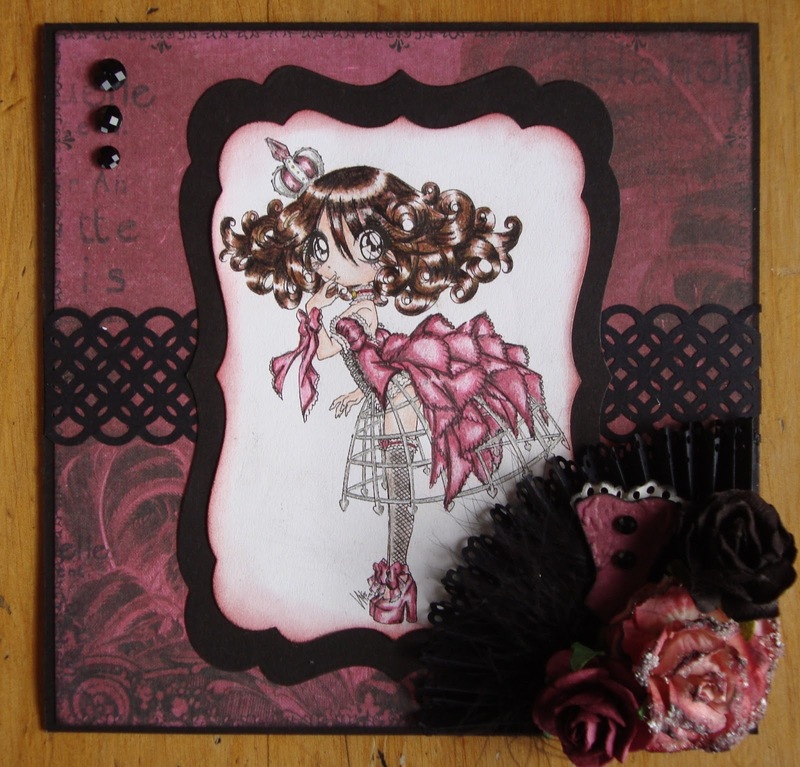 these are Prima say it in crystals to go with the Prima Moulin Rouge paper pad which was perfect for this little lady! Well I hope you like her, I tried to keep this card a little bit simpler but I don't know if I really pulled it off, either way I love her. Love it! Absolutely stunning. Your coloring is amazing. Thanks for playing along at 613 Avenue Create. Prima, Prima and o yeah more Prima!